A customer can have 1 installation, or several hundreds. 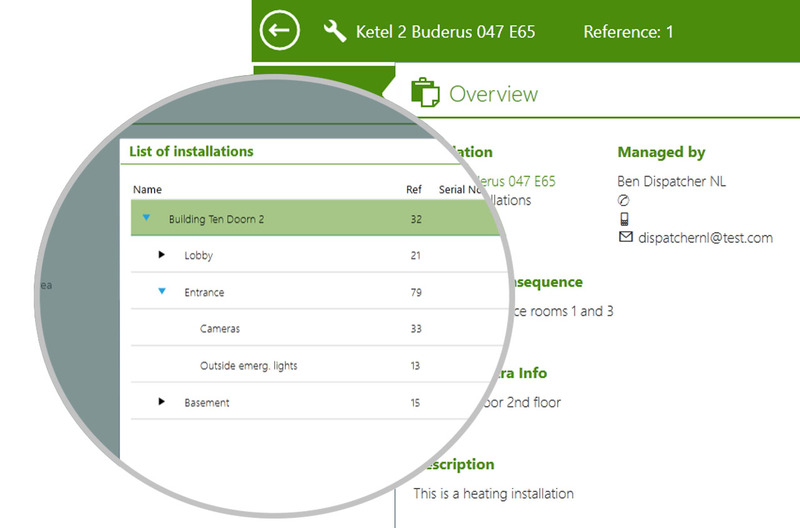 And all these installations can be located on the same service address, but in different buildings, floors, rooms…. Or located on different service addresses. There is a way to organize all this efficiently when using the Installed base module, whether in a tree list or not. Every installation has its own spec sheet? 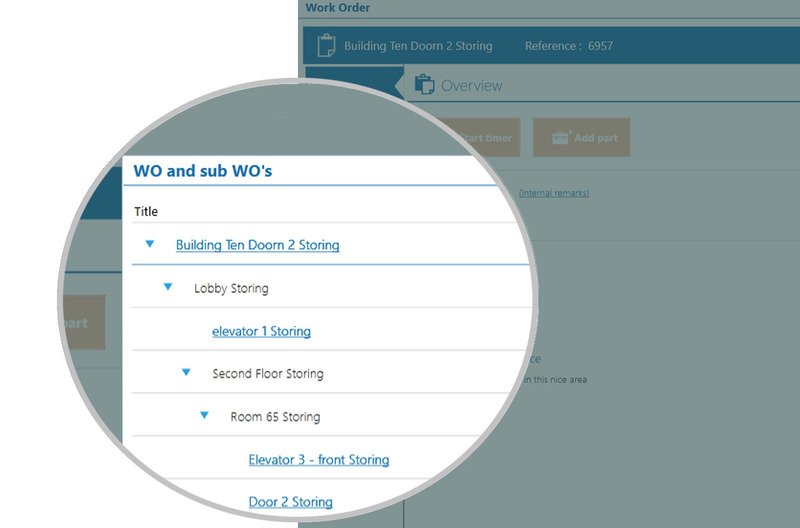 Use the drag & drop form builder to create the spec sheet for every type, helping you to keep track of all the specifications for every installation all by yourself, without any need for custom development. Installations can have a warranty period during which all maintenance and or repairing activities are free of charge. Keep track of these warranty periods & inform your customer correctly. If you need to understand why the machine gets broken again, dive into the work order history. Go back in time as much as needed and read the service reports to have a clear understanding of past service activities so you improve your service today. 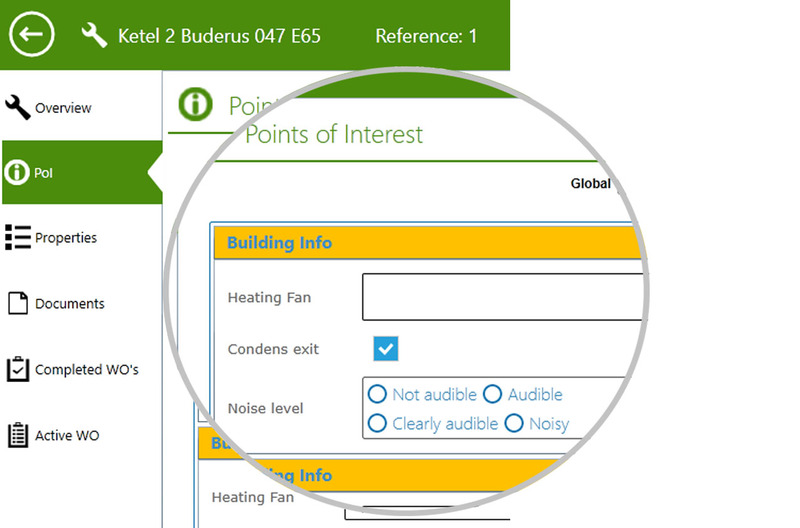 Unleash the powerful “All-in-one” feature. 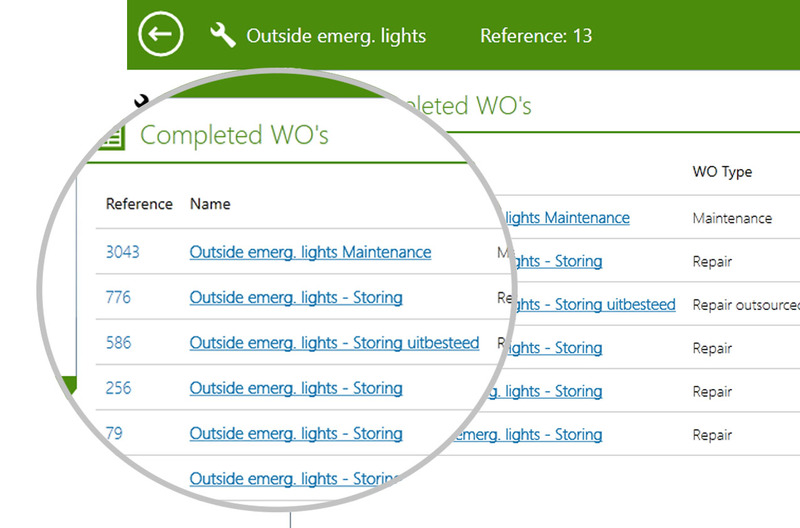 Create 1 work order for multiple installations in 1 click and plan just 1 single work order. Within this work order though, every installation will be serviced separately. One work order, multiple installations. Never been easier!